This title was listed in the November 1991 issue of Gamepro, stating that the game was in development for the NES and possibly the SNES. 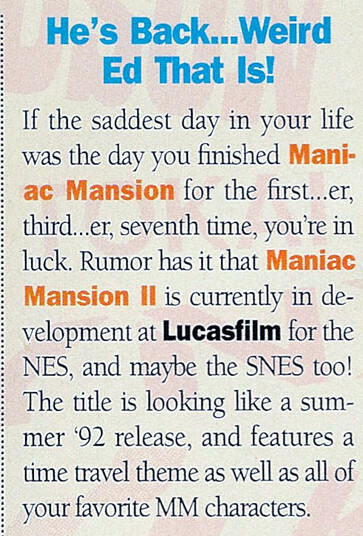 The actual sequel to Maniac Mansion, Day of the Tentacle, came out in 1993 only on computers. Listing in the November 1991 issue of Gamepro. Scan courtesy of Retromags.